Immeasurable immensities reside in Measuring the Dark, Kate Gleason’s richly imagined earth-bound book of poems, where nervy intelligence and bittersweet insight are recurrent features in an ever-changing landscape. Poetry is Gleason’s instrument for gazing at the world, for telescoping in and out of memory, drawing constellations from the swirl of events and sensations. …Gleason wears many guises, for she is an ardent explorer of relativities, deploying metaphors from modern physics to express enduring paradoxes intrinsic to our condition as a species—our fleeting and unchanging distances and intimacies. -- From the Introduction by Phillis Levin, author of Temples and Fields, The Afterimage, Mercury, and May Day, and a professor of English and poet-in-residence at Hofstra University, as well as a teacher in the graduate creative writing program at New York University. Kate Gleason’s first book, Measuring the Dark, has the force of a full life behind it: a mature intelligence and gravitas gleaned through long experience. Gleason exhibits a sure handling of metaphor — both extended conceits and interlocking analogies — and a sure handling of the new science, from quantum physics to string theory, finding in the scientific world analogies for the human condition. Whether writing expansive narratives, layered with personal and political history, or tightly controlled lyrics with dazzling metaphysical conceits, Gleason measures love and loss on earth, set against the darkness and empty space that surrounds us, lit up, moment to moment, by the memory of those who moved us to words. The "tug and welter" of these poems reach us outward through a lot of territory—art, science, politics, love—but their common pulse remains the physical world that, paradoxically, lifts us from the gravity of our hungers, those fleeting but fierce experiences of our inner lives. By sheer language alone, Kate Gleason embeds layers of meaning in seemingly simple descriptions, so that the vividly observed wood of a wrecked boat hull is indistinquishable from a marriage broken by partners who have drifted apart. Through such seemingly organic insights, we see in these poems how it is possible to survive our losses, like leaves "drawing on the light / stored deep in their cells / . . . the miraculous translation of waste into breath." Chrysalis Reader group reading of current issue: Kaleidoscope: Lenses on Reality. Kate Gleason is the author of a full-length collection of poetry, Measuring the Dark (winner of the 2008 Zone 3 Press First Book Award judged by Phillis Levin), and two chapbooks of poetry, The Brighter The Deeper (winner of the 1997 Embers chapbook competition) and Making As If To Sing (Amherst Writers & Artists Press chapbook series). Her work has appeared in Best American Poetry, Verse Daily, Los Angeles Times Book Review, Green Mountains Review, Crab Orchard Review, Sonora Review, The Spoon River Poetry Review, Ekphrasis, Boomer Girls, Claiming the Spirit Within, and elsewhere. 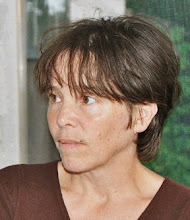 A recipient of writing fellowships from the NEA (in conjunction with the Ragdale Foundation artist colony), the Vermont Studio Center, and the New Hampshire State Council on the Arts, she also won the Outstanding Emerging Writer Award from the New Hampshire Writers’ Project and was nominated for a Pushcart Prize. Formerly the editor of Peregrine literary journal and a poet in the schools, she leads writing workshops, retreats, and seminars.